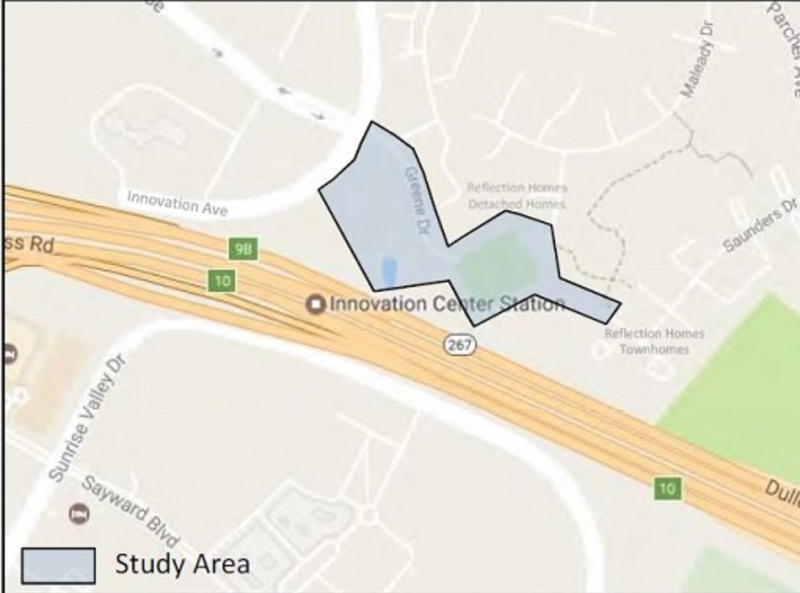 Supervisor John Foust and the Fairfax County Department of Transportation (FCDOT) will hold a community meeting regarding the Innovation Center Station North-Side Shared-Use Path Feasibility study on Thursday, June 29, 2017, in the cafeteria of Herndon Middle School, 901 Locust Street, Herndon, at 6:30 p.m. The proposed path will connect the future Innovation Station Metrorail Station kiss-and-ride on the north side of the Dulles Toll Road to Apgar Place and Farougi Court. The meeting will begin with time to review boards showing three different conceptual alternatives for the path alignment, followed by a formal presentation at 7 p.m. The meeting will conclude with a questions and answers session. FABB encourages local members to attend and share their knowledge about what makes for successful shared-use paths.